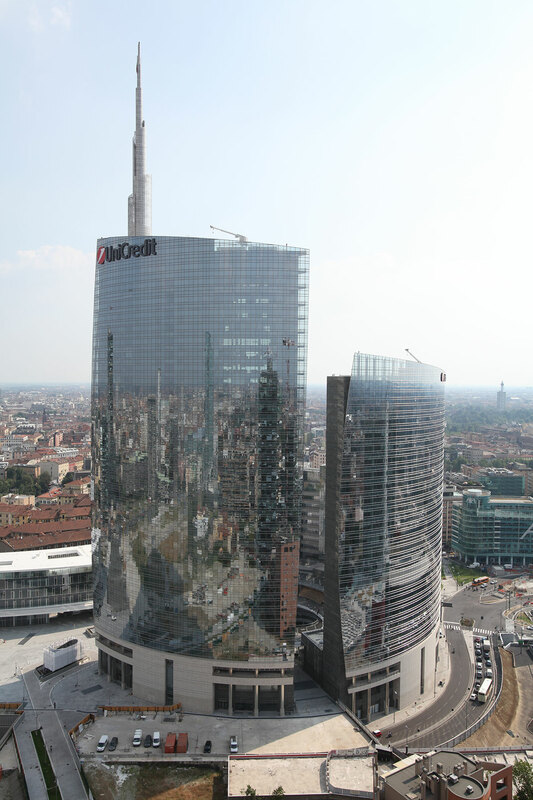 The three office towers in the UniCredit Campus are located in the west section of Porta Nuova, in the center of Milan. 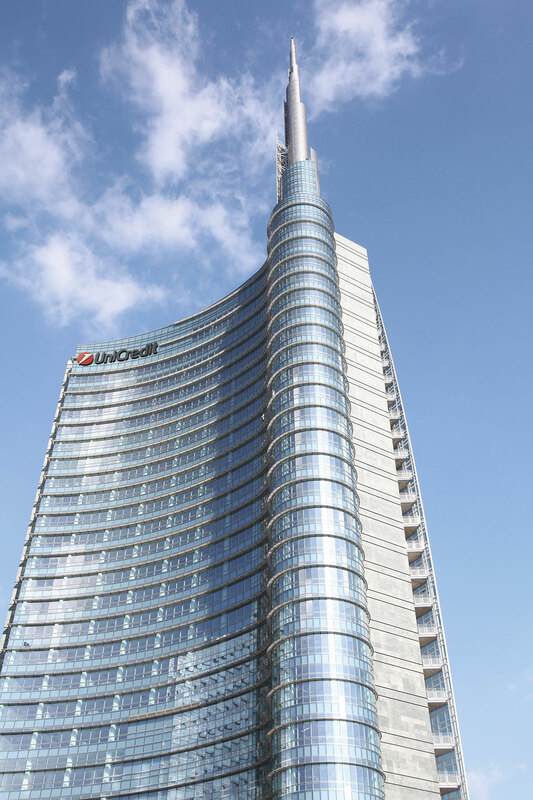 Spiraling upward, the 32-story UniCredit Tower (Tower A) culminates in an 80-meter sculptural, stainless-steel spire. Now Italy's tallest building, UniCredit Tower is visible from more than six miles away. Designed by Pelli Clarke Pelli, the towers are clad in reflective glass with narrow, curved forms. 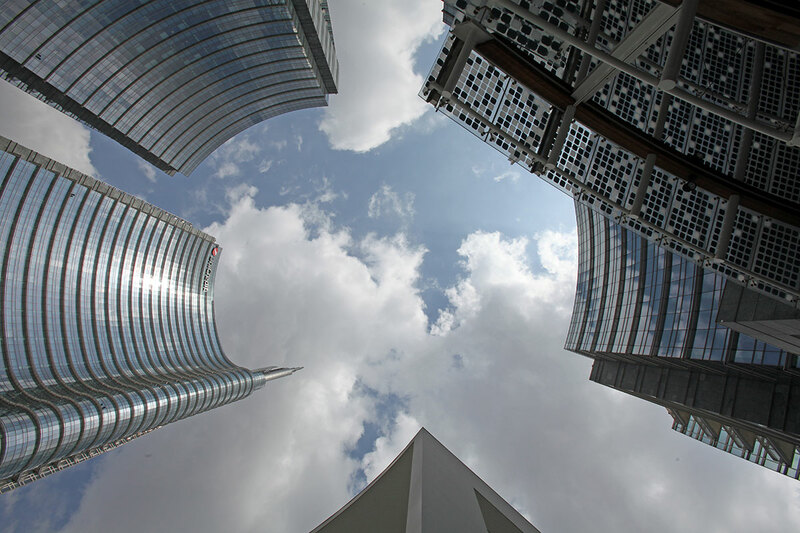 The buildings are situated around the Gae Aulenti Piazza. Surrounding the piazza, a glass and steel ring-shaped canopy connects the podiums of the three towers. Two levels of shopping and retail space line the piazza. Each of the office buildings are certified LEED® Gold and are the first in Italy to receive this recognition.